An art heist laser maze game: can you steal the masterpiece without tripping the security system? 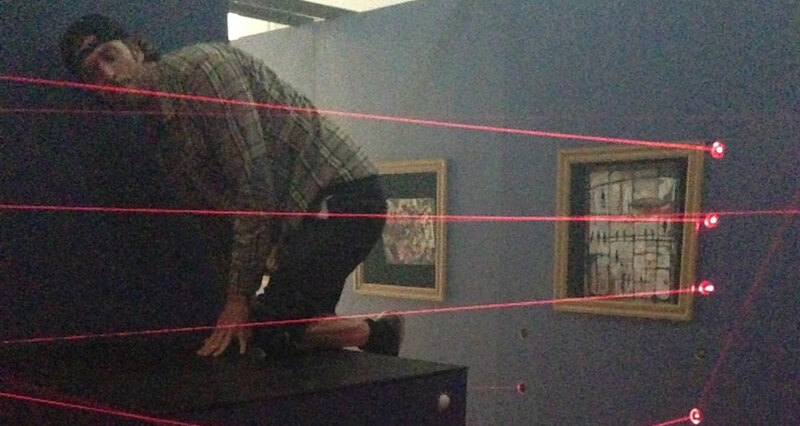 The Hearst Collection is a physical laser maze art heist game. Play is for one player, and sessions last 30 seconds to five minutes. 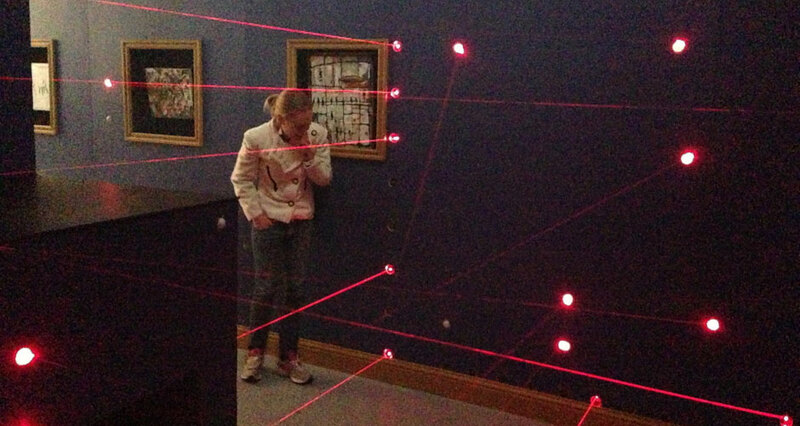 The goal is to steal the masterpiece painting and return it to the beginning of the maze, while physically contorting your body to avoid tripping a tightly-woven lattice of ruby-red lasers visible in a mist of light haze. 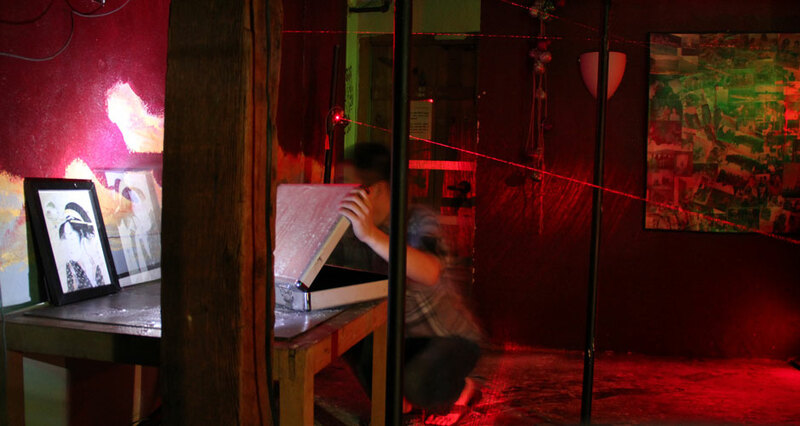 The game itself comes in a suitcase-sized laser maze construction kit. With custom components including aimable lasers, light sensors, chainable cable connectors, and an arduino brain unit that runs the game software, creators can construct a maze of their own design in 10-20 minutes. “Levels” can be uniquely suited to the physical affordances of the environment. The positioning of paintings to be stolen can be adjusted in order to control difficulty, and the theme can be adjusted to fit the locale. Gabe Smedresman is a San Francisco-based designer and coder with a passion for games, real-world data, interactive narrative, maps, public space and theater — and the intersections between them. He designs and develops games, focusing on those that tie in real-world data in some way. His work has been covered in the New York Times, the Wall Street Journal, the San Francisco Chronicle (three times! ), Fox News, Forbes, Boing Boing, Gizmodo, and leading technology blogs, and has been played and interacted with by tens of thousands of enthusiastic players and audience members. Interactive media is creating tremendous new opportunities for art, culture, and play: Gabe’s work lives on this frontier. He strives for simple, compelling, relevant ideas, expressed clearly, and executed with polish, flair, character, beauty, joy and truth. Gabe is now working for The Go Game, a San Francisco-based company building live-action urban adventure games.